Having access to clean water is imperative for a community's success. Water is necessary for everything from bathing to drinking and cooking, and lack of clean water can lead to widespread illness. In remote villages water is often collected from local streams or rainwater collection tanks, but without filtration systems, it can still be dangerous to ingest. Traditionally villagers boil water to sanitize it, but this process requires a substantial amount of firewood, which can be timely to collect, often resulting in children collecting firewood instead of attending school. 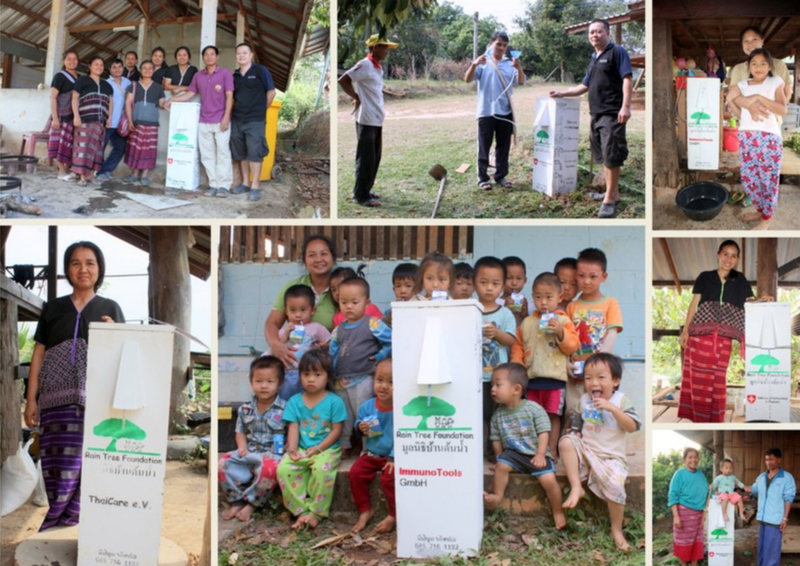 To combat this problem, Daughters Rising has partnered with the Rain Tree Foundation, an organization that makes and distributes water filtration systems throughout Thailand. Daughters Rising buys the filters from Rain Tree at cost and donates them to Karen villages for free. The Rain Tree filters utilize slow sand filtration technology, which does not need an external energy source, and is easily maintained over its 15+ year life expectancy. By ensuring people have free access to safe and clean drinking water, we are ensuring that they can thrive as a community. Learn more about Rain Tree Foundation here.